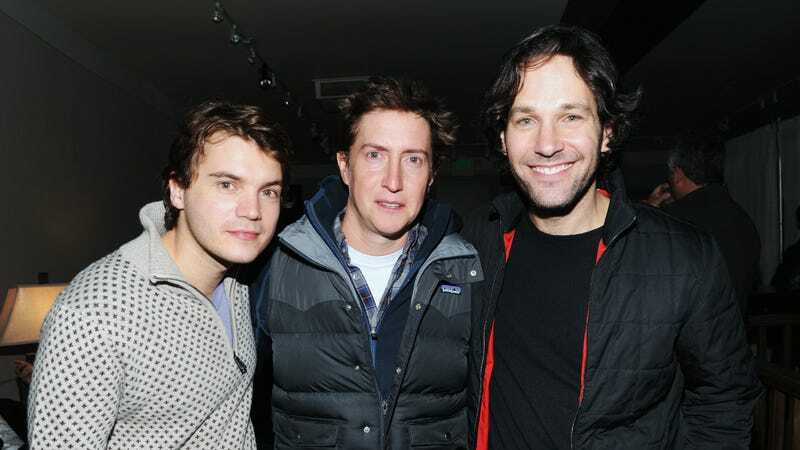 Emile Hirsch, David Gordon Green, and Paul Rudd in 2013. You’d be forgiven for furrowing your brow at David Gordon Green, perhaps best known for directing the 2008 stoner comedy Pineapple Express, directing a new Halloween sequel. But, if you’re familiar with the 43-year old’s work, this is just the latest pivot in a career filled with them. He’s impossible to pin down, which is exactly what makes him one of our most exciting modern directors. As Fandor’s latest video essay explains, Green’s career is truly all over the place. He kicked off his career in an enviable fashion, having written and directed gorgeous rural dramas like George Washington and the sublime All The Real Girls. To watch his fourth feature, Snow Angels, however, is to treat yourself to some excruciating, yet effective, emotional misery, so it makes sense that he’d want to follow his real-life pal Danny McBride into the comedy world. The pair collaborated on the blockbuster Pineapple Express, then tanked with Your Highness. Since then, Green’s dabbled in family comedies, political satire, and biographical drama in addition to his work producing and directing HBO’s Eastbound And Down. For those who loved his early work, this trajectory can be frustrating. But Green’s fortunate to have been able to spread his wings like he has, as a breadth of experience is only going to sharpen your skills. Besides, he’s catered to his early fans on numerous occasions, most notably with late-career flicks like Joe and Prince Avalanche. His Halloween might be a dud, but so was The Sitter. Alternately, maybe it’s another left-field masterpiece! The good news is he could anywhere from here.